Interior tailored to the customer’s needs. 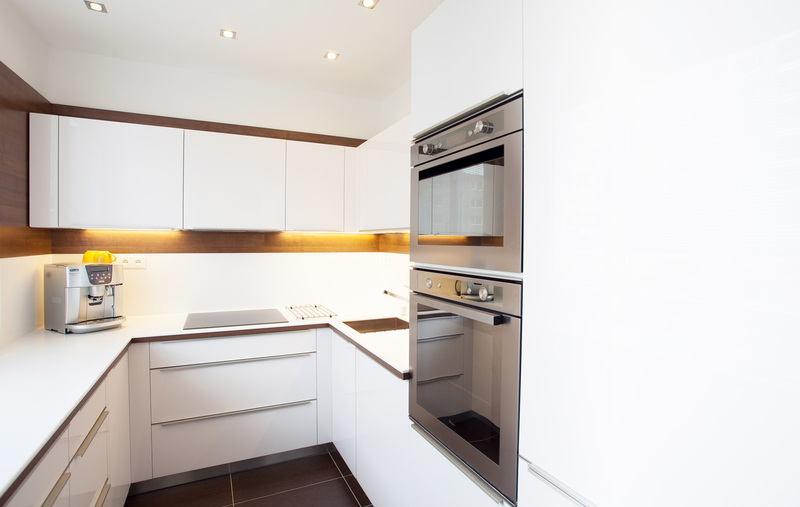 It is a typical example of a complete realisation of a city flat in the PREMIUM collection. An airy living room with furniture, including a TV panel and bookcase. It is tastefully complemented with a coffee table matching the whole design. The bedroom furniture was designed in the same concept. 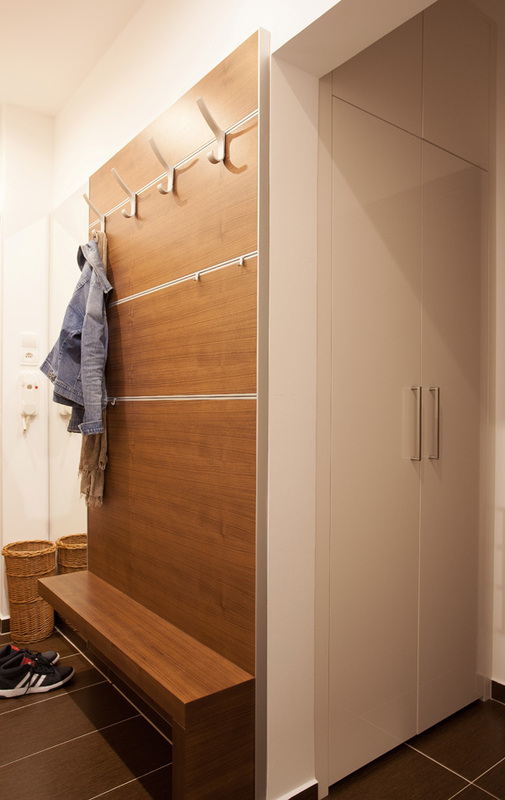 The built-in wardrobe as well as subtle bedside tables will catch your attention. In every single corner of this flat you can find a piece of our furniture, which practically as well as aesthetically utilizes the given space. The smaller space of the kitchen has perfect ergonomics and thanks to the varnished design it creates a fresh and modern impression. A stylish washbasin cabinet smartly conceals your items and in the open part there is a place to quickly place your towels. Boost the value of the whole interior. In this case SPACE doors were used. This popular type of door is available in vertical as well as horizontal veneer design, including the option of glazing. 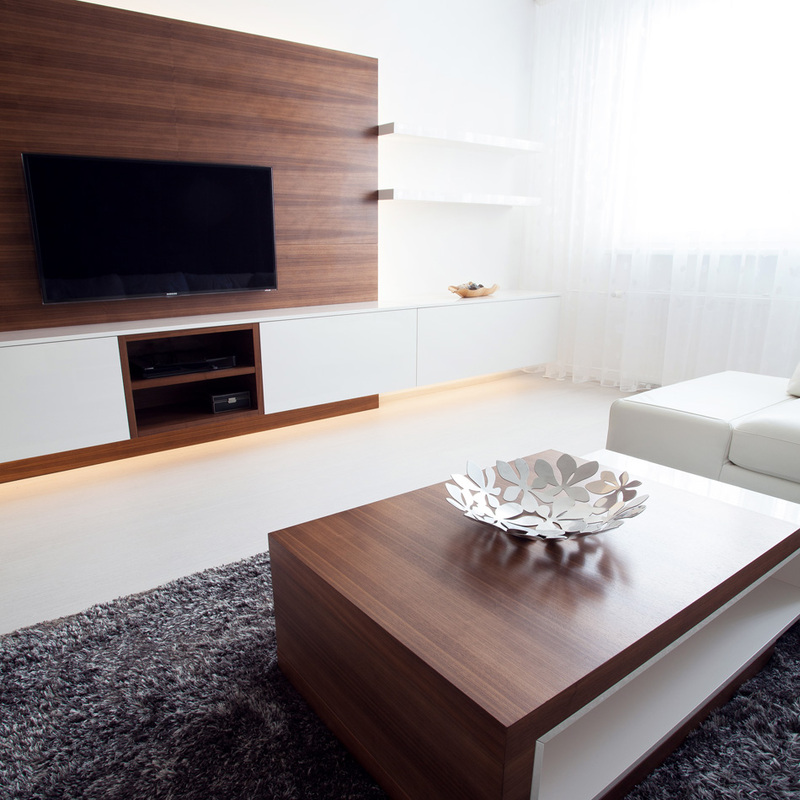 A living room wall with a TV panel is a very popular solution. The wall is complemented with white shelves.